Updated 9:25AM, Monday November 12th, 2012	by Sam Hailes, Christian.co.uk Be the first to comment! 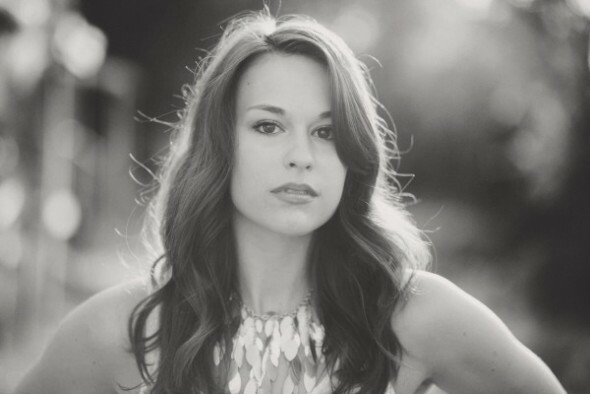 Not only was Rachel Hendrix’s first part in a film a lead one, but said film October Baby has become a worldwide hit, especially in the Christian community. It’s an extraordinary achievement for the young Alabama born actress. But Rachel says she doesn't believe in coincidences. "It’s come out of nowhere. To go to the scale that October Baby has gone as my first film is tremendous. I don’t think it’s coincidence at all. I don’t believe in coincidences we have a designer and a maker who knows the plans for our lives and lays them out before us and we have the ability to choose to follow that path or go another direction." 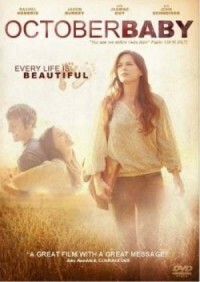 October Baby sees Rachel play Hannah – a teenager who discovers she survived an abortion and was later adopted. Despite being marketed as a pro-life film, Rachel says she wasn’t pro-life or pro-choice before reading the script. “I was more in a place of indifference. [The film] really pointed me towards understanding the beauty of life and it made me think outside of my prejudices and box I grew up in. "It’s not about what we tell people to do or what is right and wrong or there being a black and white but the grey matter in between and the fact that people need love and need to be understood, cherished and forgiven for mistakes. There is grace and grace is big enough. Rachel agrees with those who have praised the film for its subtlety. This same respect for the audience was also directed toward the actors involved in the project. “The directors were more interested in hiring actors who could pull off the part regardless of what their beliefs were,” she explains. With well known pro-life figures endorsing the film, October Baby has been viewed as pro life. But Rachel doesn’t agree. In the time leading up to shooting October Baby, Rachel says she didn’t know what to expect. Now that the film has been released worldwide, Rachel daily gets messages on her Facebook page from grateful viewers. “So many people pour their heart out and it’s like I’ve opened up a door for them to share deep things in ways I didn’t expect that would come with this role. The success of October Baby has catapulted Rachel into more work. Still living in Switzerland where she has a small photography business, the up coming actress hints that a move to LA could be on the cards next year. Having just returned from South Africa, Rachel is excited about starring in new film The Perfect Wave. Based on a true story, the movie will follow Ian McCormack’s journey from New Zealand to South Africa before he is stung by a box jellyfish. Ian’s story of how he died, met Jesus and had a vision of heaven and hell has already been shared all over the world. Rachel’s passion for acting is evident in her DVD collection. “I have always been a huge nerd when it comes to movies. Our movie collection is embarrassing. It’s massive. “I’m a huge fan of telling stories. The messages of redemption, hope and forgiveness and all of these things that are elements of the gospel are told so well through film and as human beings we connect to film because we’re watching it happen. We really do experience movies and I’ve always felt movies deeply. I don’t believe in coincidences we have a designer and a maker who knows the plans for our lives and lays them out before us and we have the ability to choose to follow that path or go another direction. “I never thought I’d have the gift of being a part of that and telling it on the other side of the screen. Looking to the future, Rachel could be starring in a very different film. The makers of October Baby are interested in shooting a comedy. As someone who doesn’t want to be typecast, the actress is looking forward to a different challenge.